Sport Britain | Following Team GB in all possible sporting pursuits! Essentially a form of indoor football, it focuses on skills, improvisation and the promotion of close-knit team play. Played in, but not limited to, Hispanic and Eastern European countries, futsal is often used to develop young players so that they can shine in the 11-a-side game and don’t necessarily just focus on the long ball tactics. Cristiano Ronaldo is one famous proponent of the game and it has occasionally been brought up that the individual British FAs would benefit from nurturing the sport. So when the preliminary round of the 2016-17 UEFA Futsal Cup (futsal’s equivalent of the Champions League) took place last week and teams from England, Wales, Scotland and Gibraltar all went out at the first time of asking, it keenly puts into perspective that futsal isn’t our game. It continues a trend of group-stage exits, which had gladly been interrupted when Baku United, previously England’s top team, secured passage into the second group stage and even secured a win against more experienced opponents. But we don’t look close to achieving that again. England’s National Futsal League restarts on September 11th with other national competitions running throughout the winter. It remains to be seen whether or not we can start aiming a little higher – could qualifying one of our national teams to the FIFA Futsal World Cup be such an ambitious goal? It’s going to be a nervous UEFA Champions League group stage for Celtic. They’ve qualified thanks to a good first leg in their playoff match against Israel’s Hapoel Beer Sheva, but the reverse away fixture proved a lesson in how not to defend a 5-2 lead. Celtic conceded a goal either side of the interval, but they will need to show much improvement if their first main round appearance in three years isn’t going to end with zero points. Today will be the turn of Manchester City, who will similarly defend a 5-0 aggregate lead over Romania’s Steaua Bucharest but are deemed to be much more likely to progress. In the opening stage of the UEFA Women’s Champions League, Wales plays host to Cardiff Met. Ladies’ group. Things have gotten off to a perfect start, the local team beating NSA Sofia of Bulgaria 4-0. Not such good news over in Finland, as Northern Ireland-based team Newry City Ladies lost 11-0 to Danish opponents Avaldsnes IL. With only the top team making it through to the knockout stages, they stand little chance of progressing. The watered-down World Rowing Championships continued yesterday but it was mainly a day of repechages, second chances for a few of the British rowers to get into semi finals. Gemma Hall took one of the places in the Lightweight Single Sculls, her time of 7.51:970 enough to get her back on track. GB’s Lightweight Men’s Quadruple Sculls team of Charles Waites-Roberts, Jamie Copus, Jamie Kirkwood and Zak Lee-Green also made it through their repechage in a time of 5.52:440 but their event seems them safely through to their main final on Saturday. A few all-England bouts in squash’s Cathay Pacific Sun Hung Kai Financial Hong Kong Open 2016 (that’s a bit of a mouthful, if I was actually saying it out loud, that is). In the men’s draw, former world number one James Willstrop beat compatriot Tom Richards 3-1 to set up a tough second round clash against eighth seed Tarek Momen of Egypt. However, Chris Simpson (1-3 against top seed Mohamed Elshorbagy, Egypt) and Alan Clyne (0-3 against Momen) failed to qualify. Most of the Brits are in the bottom half of the women’s draw, but brought together English pair Victoria Lust and Sarah-Jane Perry, the latter of which won a marathon 3-2 match to face Amanda Sobhy, the 7th-seeded American in the next round. Following Scarborough’s annual one-day cricket festival, Yorkshire remain in a decent enough position in their County Championship match against Nottinghamshire. Although scuttled out for 282, Yorkshire have pegged back Notts to 38-2 at the end of the first day, the last wicket a combination from former England internationals Adam Lyth and Tim Bresnan. Elsewhere, Surrey are chasing a similar score against Lancashire and remain 50-0. Hampshire are still in after day 1 with a score of 281-6. Warwickshire managed to ravage Durham for 207 all out but already find themselves 25-1 after the early loss of Varun Chopra. Chris Froome recognised that there will be tougher challenges that usually only he can overcome, so crossed the line alongside his main rivals in Stage 4 of the Vuelta a Espana yesterday. Both he and Peter Kennaugh, who offered a valiant effort to keep up with the Movistar train, remain in the top ten overall, 4th and 9th respectively. Simon Yates is in 15th, 2 mins 8 seconds behind the lead of Darwin Atapuma (Colombia). Further down the GC are Scott Thwaites (70th) and Hugh Carthy (169th). I started this blog back in 2012, excited about the London Olympic Games and the realisation that I do actually enjoy watching sports – and not just the mainstream of football, rugby and cricket etc. Unemployed at the time, I was keen to keep track of dozens of Olympic and non-Olympic sports, chronicling their results throughout the year and build up a bit of a database to use in my articles. In securing work in 2013, time for this obviously diminished massively. I’m only really able to write this today as it’s my day off. Losing this database earlier this year, 3 and a half years’ work, naturally sapped my interest from keeping this blog running further. Yet, the 2016 Olympics, although not perfect, reminded me how much I love minority sports and wished I had kept tracks on Team GB throughout the year. So then, it’s my “responsibility” to keep plugging away at these “daily” (as daily as I can manage) blogs and provide some sort of centralised outlet for the results. I’ve needed to streamline my reporting, so results like alpine skiing and table tennis, which I used to go into the second/third tiers of events, will only come from major championships and world cups. Annual calendars like badminton and tennis will be similar, although will feature results from competitors who reach the latter stages of minor events. The majority of Team GB have yet to return home from their most successful ever Olympic Games, but Andy Murray is one such name that was immediately back in action in the ATP Tour last week whilst the Games continued. Chris Froome, bronze medallist in the time trial and winner of the Tour de France, was another name immediately back into his day job and is once again leading Team Sky in the UCI World Tour, this time at the Vuelta a Espana, the sport’s third major. In stifling heat, a breakaway occurred early on in the third stage, one that was never totally caught but hasn’t shaken up the standings too much. Froome secured a fourth place finish alongside two other riders and still remains in the podium positions. Team-mate and former race leader Peter Kennaugh also finished in the top 15 and remains 7th overall. Simon Yates, Scott Thwaites and Hugh Carthy were the other British finishers some way back. In Olympic years, the World Rowing Championship is a watered-down affair, consistingly only of non-elite boats. It still gives talent in the national ranks the chance to prove themselves and potentially earn themselves a more prominent boat in the next Olympic cycle. The best result of yesterday came from the Women’s Four, the equivalent of a boat that IS an Olympic class and the team of Fiona Gammond, Donna Etiebet, Holly Nixon and Holly Norton won their heat to qualify straight through to the final. There were other victors in the Men’s Coxed Pair and Men’s Lightweight Pair, both boats qualifying for the semi finals. However, results weren’t so good for the Men’s Lightweight Quadruple Sculls or for Gemma Hall in the Women’s Lightweight Single Sculls, with both having to make do with another chance in the repechage. It continues to be tight in the race for second place in speedway’s Elite League, with wins for Swindon and Wolverhampton moving them to third and fourth respectively. It’s a little less comfy for Poole now, who can console themselves with a visit from Leicester on Wednesday. 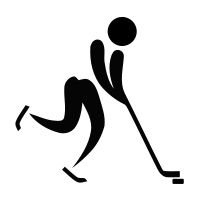 Over at the IIHF website, writer Martin Merk has submitted a lengthy article on the current state of global economics, particularly when related to the sport of ice hockey. No, don’t leave the page yet..! The focus is on the demise of the Russian hockey teams and the continuing trend of their players migrating to more lucrative deals with North America’s NHL. The cause seems largely due to sanctions imposed on Russia due to the conflict in Ukraine, which has seen the Ruble weaken and financial offers to players just not being what they were. There has been a knock-on effect with former Soviet countries such as Belarus and Kazahstan, with their players migrating similarly west. So, where does Great Britain come into this? The article considers that, out of the world’s major currencies in areas where ice hockey players earn salaries, the UK Pound is the only one out of 26 to have actually increased in value. Although negligible, this does still increase a British club’s pulling power and has seen a modest rise in Eastern European prospects reaching our shores. Why, then, aren’t British teams doing better in European competitions if they are signing players from some of the stronger countries? Sheffield Steelers and Braehead Clan were in Champions Hockey League action last week but both succumbed to humilating losses which show we can’t yet complete on the continental stage. The fact is that, although the Pound is stronger than it was, the salaries we are actually offering the players still isn’t all that much when compared to other British pasttimes. Therefore, despite the potential of signing European players, we’re not actually signing ones that can make a difference. The worry there is that, similar to the English Premier League in football, this could devalue our own crop of British talent if they can’t find their way into an Elite League roster. We’re not at crisis point yet; Great Britain finished second in the World Championship B Division in April, losing out to a Korean side they’d already beaten in the group stage, so they’re not far off. But the league is fragile, and signing unknown quantities just because they can attract them from the poorer leagues won’t necessarily increase the entertainment. The Elite League 2015-2016 season faces off next week and it’ll be interesting to see how the new faces fare in a league with a respectable following, but hanging on a skate’s edge. Chaz Davies led the times after the first two Free Practice sessions at the World Superbikes stage on the Laguna Seca. With a time only good enough for third place in the first run, Davies came out all guns blazing in the afternoon with a fastest lap of 1’23.633, a tenth of a second clear of fellow Brit Tom Sykes. Sykes, of the Kawasaki Racing Team, had a consistent day himself, finishing second in both sessions and second overall after running 45 laps. Further down, Kawasaki’s Jonathan Rea won the first session with a time of 1’24.239 but was barely able to improve on that later on and slipped to fourth. Leon Haslam stands in sixth overall after setting a mark of 1’24.240 in FP2, whilst Alex Lowes follows up in ninth, just short of a second slower than Davies. Outside of the top ten, Leon Camier was thirteenth fastest, the MV Agusta rider 1.863 seconds off the lead time after the same amount of laps. The third and fourth Free Practice sessions for the Geico US Round commence today. Davies will be gunning for what would be only his second win of the season, although he has picked up a number of podium finishes. Jonny Marray, along with his doubles partner Aisam-ul-Haq Qureshi of Pakistan, is the last Brit standing in top-level tennis competitions this week as he secured a place in the Hall of Fame Tennis Championships semi final. Having returned to the scene of his Wimbledon triumph in 2012, when he won the men’s doubles event alongside Dane Frederik Nielsen, he may have hoped for better than a third round exit when the two reunited. Even so, a chance to reach the final in the ATP 250 event is at least some consolation. He achieved the feat by defeating Aliaksandr Bury of Belarus and Sweden’s Andreas Siljestrom in straight sets with Qureshi as his new partner. They go on to face either all-American duo Austin Kracijek and Rajeev Ram, or fellow American Ryan Harrison and his wildcard partner (and former Wimbledon finalist) Mark Philippoussis. Earlier in the week, Colin Fleming had attempted to join Marray in advancing through the doubles tournament but was swiftly defeated in the first round by Nielsen and Switzerland’s Marco Chiudinelli. He also failed to reach the main draw of the singles event, losing out to Brydan Klein (who then went out himself in the second qualifier). Elsewhere, top British doubles pair Jocelyn Rae and Anna Smith entered the Swedish Open but were sent home early with a loss to second seeds Mona Barthel and Laura Siegemund of Germany. Attention now turns to the quarter finals of the Davis Cup, with Andy Murray leading the line-up at Queens Club for a chance to reach the final four. Jamie Murray and regular partner John Peers of Australia have been knocked out of the Aegon Championships at Queen’s Club at the first hurdle, losing out to Spain’s Feliciano Lopez and Belarus’ Max Mirnyi. Murray, older brother to Andy, is a doubles specialist and has dedicated his whole year to playing alongside Peers, but hasn’t quite met the heights he promised to when he won the Brisbane International at the start of 2015. The pair did reach the final of the Barcelona Open in April, with three consecutive quarter-final appearances in the BMW Open, Madrid Masters and Rome Masters. However, Jamie squandered the chance to play Andy and partner Dominic Inglot in the second round with a 6-4 5-7 3-10 loss. As it happened, Andy is now also out of the doubles competition, losing in straight sets to top seeds Alexander Peya (Austria) and Bruno Soares (Brazil), despite fighting back to gain a set point in the second. He can now focus on the singles competition, having defeated Lu Yen-hsun of Chinese Taipei in the first round. Murray moves on to Fernando Verdasco, a Spaniard of who has an 8-1 winning record and last faced him on grass during his victorious Wimbledon campaign in 2013. James Ward gave a gusty performance in his first round match against Milos Raonic, taking the first set. However, having come back from an injury, the Canadian started to find his feet and dominated the rest of the match. Brydan Klein, formerly of Australian, was the other British entry in the competition but lost at the final qualifying hurdle. Elsewhere, Naomi Broady and Johanna Konta were the most successful Brits in a short-lived Aegon Classic, both wildcards reaching the second round before being defeated. Heather Watson lost her first round match to Serbian qualifier Aleksandra Krunic, but still has a doubles campaign against Broady’s conqueror, Simona Halep of Romania. Jocelyn Rae/Anna Smith are also yet to begin their doubles tournament. Fellow Brit Katie Swan, who has received a wildcard into the Wimbledon qualifying competition, lost her first match along with Sara Askew, Emily Webley-Smith, Naomi Cavaday and Harriet Dart.